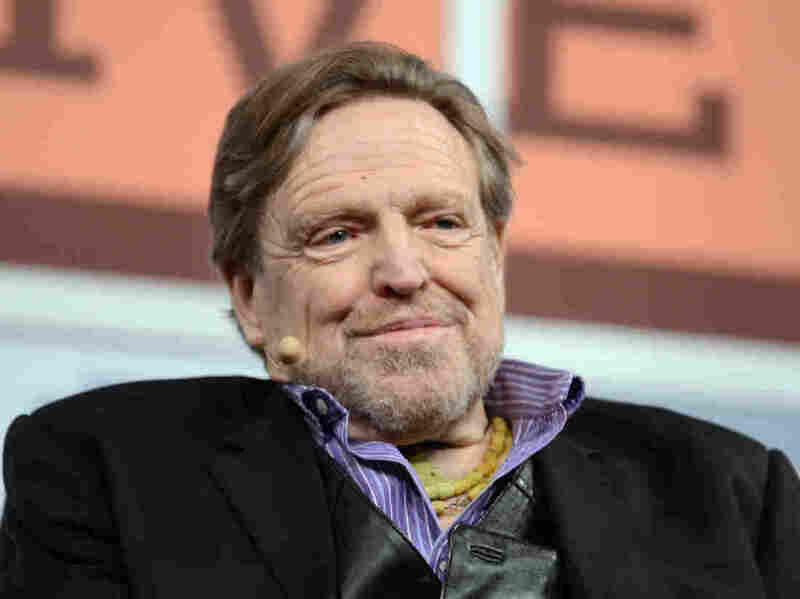 Cyber-Libertarian And Pioneer John Perry Barlow Dies At Age 70 : The Two-Way He was an Internet visionary who foresaw conflicts between the government and individual liberty in the information age. John Perry Barlow, co-founderof the Electronic Frontier Foundation at the 2013 SXSW Festival at Austin, Texas. Barlow was a poet, essayist, Internet pioneer and prominent cyber-libertarian. He co-founded the Electronic Frontier Foundation in 1990 after realizing that the government was ill-equipped to understand what he called the "legal, technical, and metaphorical nature of datacrime." He said believed that "everyone's liberties would become at risk." Barlow described the founding of the EFF after receiving a visit from an FBI agent in April 1990 seeking to find out whether he was a member of "a dread band of info-terrorists." Shortly thereafter, Barlow and Mitch Kapor, the creator of Lotus 1-2-3, organized a series of dinners with leaders of the computer industry for discussions that would lead to the creation of the EFF. "It also became clear that we were dealing with a set of problems which was a great deal more complex and far-reaching than a few cases of governmental confusion. The actions of the FBI and Secret Service were symptoms of a growing social crisis: Future Shock. America was entering the Information Age with neither laws nor metaphors for the appropriate protection and conveyance of information itself." Barlow was a Fellow Emeritus of the Berkman Klein Center for Internet and Society at Harvard Law School. Earlier in his life, Barlow was a lyricist for the Grateful Dead who co-wrote songs such as "Cassidy", "Mexicali Blues," and "Black-Throated Wind." According to the Electric Frontier Foundation, Barlow "passed away quietly in his sleep" on Wednesday morning.